“CARNE y ARENA” is a virtual reality installation which features a variety of experiences, activities and images that might be perceived as frightening and/or disturbing. Visitors voluntarily accept and assume any and all risks associated with their participation in the installation. Visitors must be fully aware that the venue where the installation is housed, including the spaces within which it is set up, is equipped with a system of video protection intended exclusively to ensure the safety of people and property. This system is managed by Fondazione Prada in accordance with the laws and regulations currently in force. Access to “CARNE y ARENA” is forbidden to anyone younger than 16 years of age. Minors of age no less than 16 years of age will only be accepted if such visitors will provide a copy of the attached Waiver and Release of Liability signed for acceptance by a parent or legal guardian to Fondazione Prada’s ticketing desk, along with a copy of the parent or legal guardian’s own identification document. Visitors must leave all personal luggage, bags, coats and electronic or recording devices (including mobile phones, computers, cameras, video cameras, etc.) at Fondazione Prada’s free surveilled cloakroom before entering the installation. We therefore recommend to arrive at the Fondazione at least 30 minutes in advance in order to complete said operations and turn up at the installation’s entrance 10 minutes prior to booked time slot. A delay in showing up at the installation’s entrance of more than 5 minutes will automatically entail the cancellation of purchased ticket. No refund will be provided. Because of the complex technology employed, the installation may require special maintenance. This may result in delays for visitors or in the cancellation of affected visits. We recommend visitors wearing glasses to wear contact lenses in order to view the installation. The ticket to “CARNE y ARENA” (10 euros) does not include access to the other projects and exhibitions currently hosted at Fondazione Prada Milano or Fondazione Prada Osservatorio. Those tickets can be purchased on this website or at the venue’s ticketing desk. The complete Waiver and Release of Liability to accept in order to access the installation are available here. 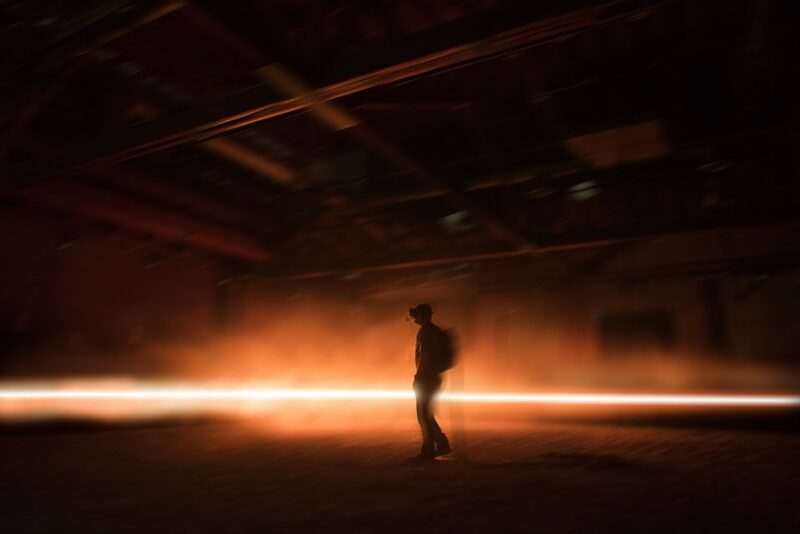 Alejandro G. Iñárritu’s “CARNE y ARENA (Virtually Present, Physically Invisible),” is a virtual reality installation produced and financed by Legendary Entertainment and Fondazione Prada. Included in the Official Selection of the 70th Festival de Cannes, the project is currently presented in its extensive full version in the Deposito at Fondazione Prada in Milan. Based on true accounts, the superficial lines between subject and bystander are blurred and bound together, allowing individuals to walk in a vast space and thoroughly live a fragment of the refugees’ personal journeys. “CARNE y ARENA” employs the highest, never-before-used virtual technology to create a large, multi-narrative light space with human characters. 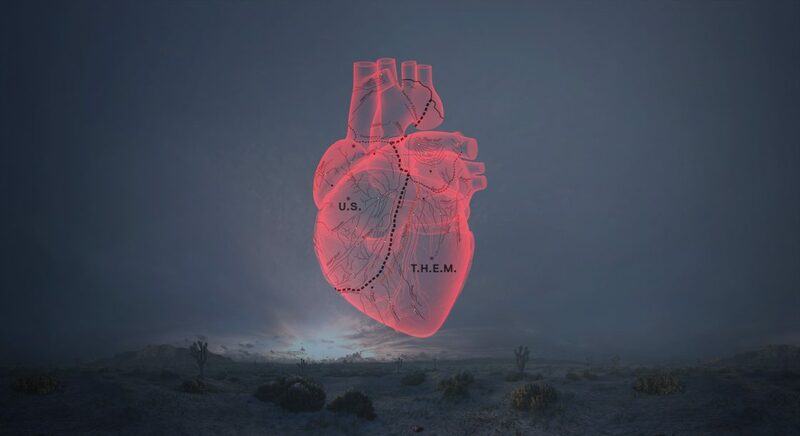 The experimental visual installation “CARNE y ARENA” is a six and half minute solo experience that reunites frequent collaborators Alejandro G. Iñárritu and three-time Academy Award®-winning cinematographer Emmanuel Lubezki alongside producer Mary Parent and ILMxLAB. “CARNE y ARENA” has been honoured with a Special Award – an Oscar® statuette – by the Board of Governors of the Academy of Motion Picture Arts and Sciences on 11 November 2017. 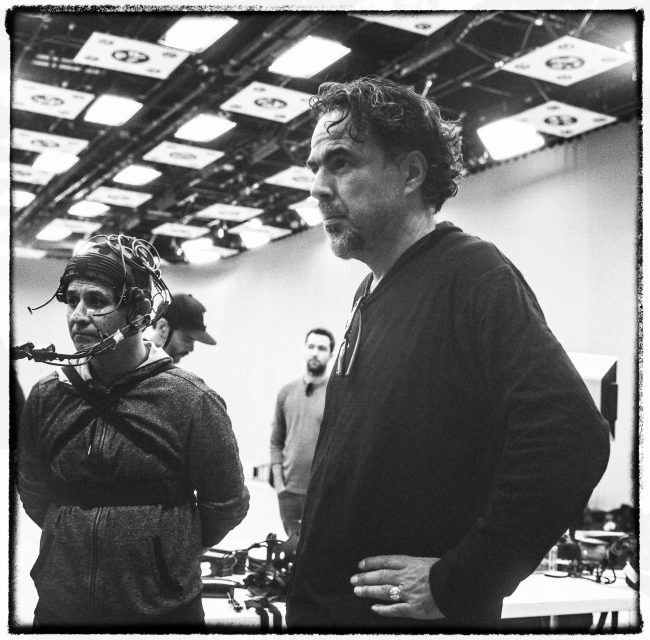 Alejandro G. Iñárritu’s multimedia installation was described by the Academy as “a visionary and powerful experience in storytelling” and “a deeply emotional and physically immersive venture into the world of migrants”. Access to the installation is only available via online booking. Only one ticket at a time can be purchased.